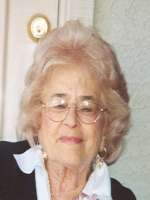 Josephine “Jo” Mastrog went to be with her beloved husband, Nick, on June 27, 2010. Born November 12, 1919 in Albion, PA, she outlived her four sisters and brother. Nick and Jo moved to Phoenix from Erie, PA in 1951 with their two small children, Mary Jo Toth (Steve) and Nancy Seman (Bob). She is also survived by seven grandchildren and 14 great-grandchildren. She was a wonderful, kind, and generous person, always ready to help whoever needed it, and she will be missed by everyone who ever knew her. Funeral Mass will be held at 10:00 am, Wednesday, June 30, 2010 at St. Theresa Catholic Church, 5045 East Thomas Road. Interment will follow at St. Francis Catholic Cemetery. 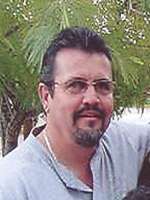 William “Bill” J. Stewart, born in Phoenix, AZ on July 18, 1947 passed away in Chino Valley, AZ on June 23, 2010.Bill is survived by his wife Patty of 28 years, sons Donny, John & Bob; daughters Fara, Vanessa & Anitra; daughter-in-law Candice; grandsons Mason, Scotty, Randy & Rob; granddaughters Melody, Phaedra, Amber & Violet; great-grandson Aiden; sister Sheree; brother Gary; nephews Matthew & Chad; nieces Shauna & Kimberlee. 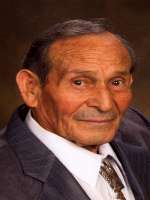 Visitation will be Tuesday, June 29, 2010 from 6:00 to 9:00 P.M. at Whitney & Murphy Funeral Home, 4800 E. Indian School Road, Phoenix, AZ 85018. 68, passed away on June 19, 2010. 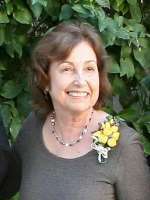 Shirley was born in Smithtown, New York, one of nine children of the Corbani family. In Santa Barbara, Ca. she married William F. Lausten, her husband of 39 years until his death on June 19, 2003. Survived by her children Andrew Lausten, Rose Miller, and Ernie Lausten, and beloved by her grandchildren Chris, Natalie, Jaxson and Liam. Funeral Mass will be held 11:00 a.m. on June 25, 2010, followed by a reception at The Casa Franciscan Renewal Center, 5802 E. Lincoln Drive, Scottsdale, AZ. Interment will follow at 2:30 pm, at National Memorial Cemetery of Arizona, 23029 North Cave Creek Road, Phoenix. 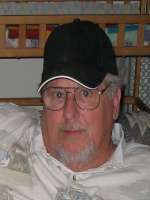 78, of Phoenix, died 6-15-2010. Funeral Mass will be at 8:00 am, Saturday, June 26, at Saint Matthew Catholic Church, 320 N. 20th Drive. Arrangements entrusted to Whitney & Murphy Funeral Home. 93, of Phoenix, AZ, passed away on June 2, 2010. Born January 1, 1917, in Youngstown, OH to Nicholas and Carmela Battafarano. Moved to Phoenix in 1946. Worked for AZ Industrial Commission then State Compensation Fund and retired in 1979. 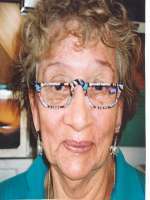 She was a charter member and officer of the Phoenix Ballroom Dancers and the Kelly Dancers. She volunteered for the SOciety of St. Vincent de Paul. She is survived by a brother, Phillip Battafarano and sister, Philomena Makrias; nephews, James Lettera Nick, Paul and Steve Battafarano, nieces, Delores Lettera, Donna Ferraro, Joanne White, Gina Pereira, Lisa and Kristen Battafarano. A Memorial Mass will be held 1:00 pm, Saturday, June 19, at St. Gregory Church. In lieu of flowers, contributions may be made to the Society of St. Vincent de Paul. Mary was born in Salt Lake City, UT on August 15, 1928, to parents Walter and Anna Eldridge, and passed away on June 10, 2010 in Mesa, AZ. 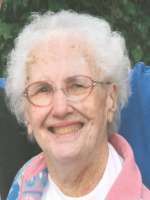 Mary worked for Garrett/Air Research Corp, having enjoyed many years in its Healthcare Section. Upon her retirement, Mary purchased an interest in Beaver Camperland, Beaver, UT, where she worked and resided for many years with her close friends. Upon the sale of the Camperland, Mary moved to Bella Vista Retirement Estates in Mesa so she could enjoy her final years with her nieces and nephews, Lara Ketterman, Larry, Sue and Lory Carrigan and many of her close friends. She was preceded in death by her sister Kathleen Eldridge, and brothers Doud, David, Peter and Clark Eldridge. She is survived by her brothers Robert, Thomas and Patrick Eldridge, all of Phoenix. Graveside Service will be held at 10:30 am, Wednesday, June 16, at St. Francis Catholic Cemetery, 2033 N. 48th Street, Phoenix. Was called home into God’s loving arms on June 11, 2010. Mom was born on July 23, 1922 she was 87. Mama is now dancing with the Angels. Mom is survived by her daughter Yolanda, son’s Rudy, Jr., and Don Tarazon. She is also survived by her siblings, Stephanie, Mary, Antonio and Mary Lou; also many nieces, nephews and friends. Mom was retired from Maricopa County. She was a foster mother for many years and also a nanny which showed her love for children. Mom had a wonderful sense of humor and was a kind soul. Mama loved music and dancing and was our rock of strength. We will miss her wonderful smile, sense of humor and her delicious cooking…she made the best tamales. In her younger years, she loved to travel, dance, do needle work and had a love for nature and animals. She will be greatly missed by her entire family and many close friends. Visitation was held from 6:00-8:00 pm, with a Rosary at 7:00 pm, Tuesday, June 15 at Whitney & Murphy Funeral Home, 4800 E. Indian School Road. Funeral Mass will be held at 10:00 am, Wednesday, June 16, at Most Holy Trinity Catholic Church, 8620 N. 7th Street, Phoenix. Interment will follow at Paradise Memorial Gardens, Scottsdale, AZ. 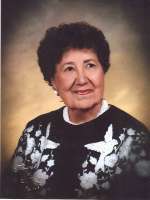 Offer Condolence for the family of MACIAS, VIRGINIA L.